To hire or not to hire a wedding planner? That is the question we are focusing on today. I’m referring to professional wedding vendors, and for today’s post, wedding planners. Why hire a wedding planner anyway- when it’s something that you can do on your own? Right? Wrong. So wrong. There are so many reasons why hiring a planner is not only a great idea- but essential to the success of your wedding day. There are a plethora of reasons why to hire a wedding planner! Here are six as mentioned in an informative post by Brides’ Magazine. Wedding Planners can help with your budget constraints and legal contracts. Planners will fight for your wedding vision and keep everything on track. Event Planners can keep things stress-free. Planners can get you a vendor discount. Wedding Planners can handle ceremony to reception flipping. Planners can help you coordinate the entire day (as opposed to just one aspect). Let me introduce you to one of my dearest friends- Jennifer Matthews. 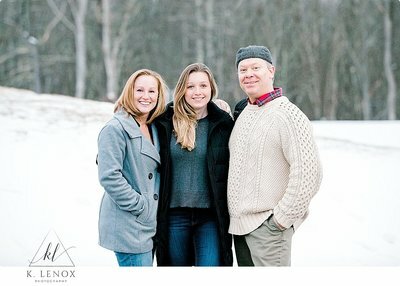 Jennifer is the founder/ owner of Memorable Events, located right here in Westmoreland NH. I have worked alongside Jenn for so many events, and each one was a raving success. From a photographer’s point of view- having an experienced wedding planner on the job makes my job as a photographer so much easier, but more importantly- they make your experience as a bride (or groom) to-be… so much more enjoyable. Why do you love what you do? I adore seeing everything come together on the wedding day. Often, I work with my couples for months- or even a year. It is so gratifying when a couple can sit back and enjoy seeing their vision come to life. What makes you different from your competitors? The fact I am still here 14 years later, LOL! But, my love of this business has only grown over the years. I build genuine connections with other wedding professionals. And I pour my heart into each wedding. I am lucky enough to call many of my past bride’s friends! Do you work with a team? I have a fantastic team at Memorable Events…without them we would not be where we are. I can confidently send them off to weddings knowing that they will put as much into it as I do. We work with many couples from out of town! And we offer a complimentary consultation too! Tips for Couples planning their wedding? Advice? And of course- if you are interested in learning more about wedding photography with K. Lenox Photography You can Contact me anytime! You can also check out my preferred wedding vendors too!